Could this be the next Samsung Note 4 device? What more could it offer to Samsung mobile users then? While the company remains consistent on giving no comments pertaining to its recently supposed flagship device dubbed as the Galaxy Note 4, a new report has surfaced, disclosing about Samsung Electronics, running some tests on a number of features for the ensuing Note device. SamMobile in its new exclusive report, has cited some progressive features including Aqua Capture, Swipe to Launch Motion Launcher, Smart Fingerprint and Multi-network for Booster, which according to an insider, were being tested for the newly anticipated Samsung gadget. These features are likewise purportedly tried on the new Galaxy S5 with Android 4.4.3 platform. According to SamMobile, the "Swipe to launch Motion Launcher" feature sounds like that of HTC One M8's "Motion Launch" that enables users to operate several things like launching of camera even when the display is in off mode. The "Aqua Capture" on the other hand, will likely be akin to the "Aqua Mode" feature integrated in the Galaxy S4 Active. It's a feature that allows users to take under-water photos. As for the rumored "Multi-network for Booster" feature, it could somehow be relevant to the "Download Booster" feature seen in the Galaxy S5. And lastly, the "Smart Fingerprint" feature could be that multiple functions done by swiping of the finger over the fingerprint sensor on the device. This feature is also among the sported features in the Galaxy S5, which is mainly used to carry out multi-functions from unlocking of the device to making Paypal payments with the use of fingerprint sensor. GSM Arena also reported that the new Galaxy Note 4 device may possibly come out with a 5.7-inch screen with QHD 1,440x2,560 resolution or 515 ppi. 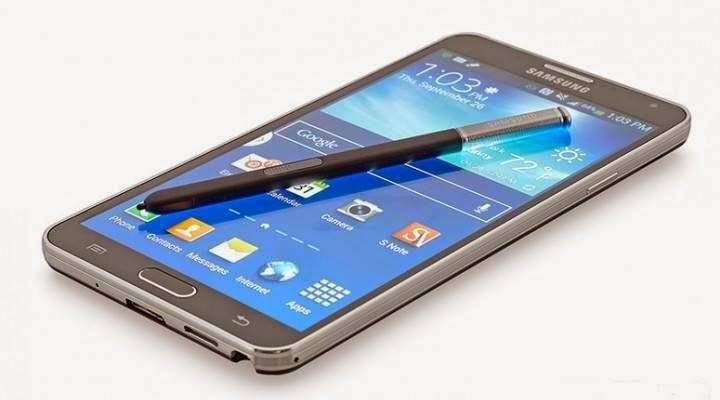 Recent rumors further have it that the Samsung Galaxy Note 4 will likely be rolled out in the second half of the current year. According to a prior report by The Korea Times, the Galaxy Note 4 is expected to be unveiled in the upcoming annual IFA trade fair to take place in Berlin, Germany this September. The Korean tech giant however remained hushed on these buzzes.